"As the Father has loved me, so I have loved you. 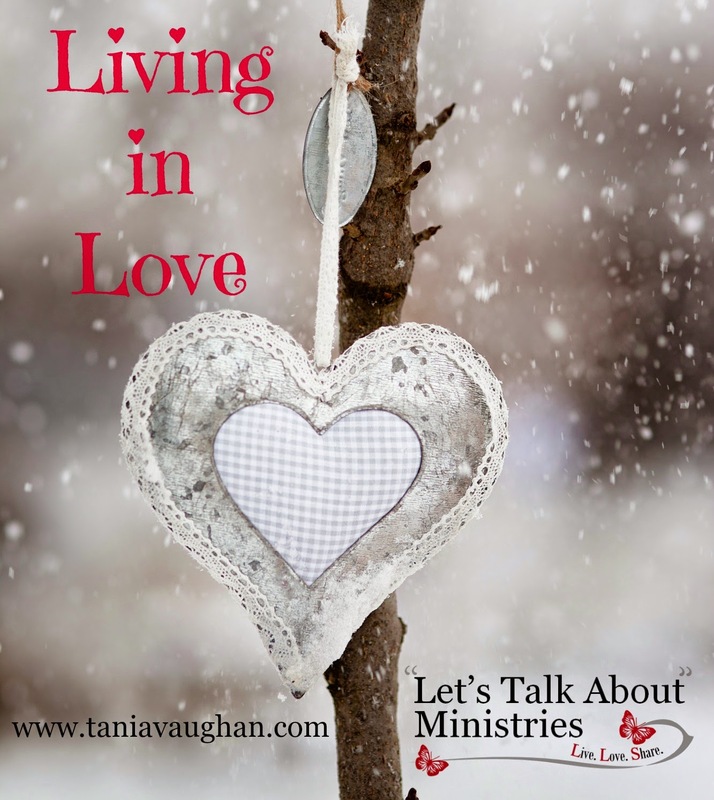 Abide in my love"
The perfect and full love that God offers us is not an action from afar, it is not something sent from a distance, love really is all around - God does not only want you to love and know love but to live in love. This true love is not selfish or one way - God does not demand our love as much as he offers it. When Jesus talks of being the vine he says "abide in my and I will abide in you". You are loving a God of love and, you are loved by a God who wants your love. There is a sadness in a relationship where you know you love more than you are loved, there is an ache and an emptiness. It is living in this kind of love that creates a fullness of life. Living in love is a full life that produces fruit, a positive life, full of goodness. A fruitful life comes from abiding in the love of Jesus, remaining connected to the vine. How do you remain connected, how do you live in that love? The same way Jesus did, by keeping the commands of his Father. just as I have kept my Father's commands and abide in his love"
Jesus does not ask you to do anything he has not already done before you, you are an imitator, a follower of Jesus. He knows what it is to live a fully loved life and he wants you to know that too. He wants you to know the joy of living in love, he is offering you complete joy (John 15:11). To know this joy, to live in this love is not a call to direct action. Do not be tripped up by the "keep my commands" part of the verse. You will not find love by following the law, but by following Jesus. You will not earrn the love of God if you keep the commands, you already have it, freely. God is love (1John 4:16) and keeping his commands comes out of living in his love, it is an overflow. Once you live in love, you will overflow with love and you will love others as he has loved you. Thanks for this message on Love! HIS love is our perfect example. Love, to just know more love. It is an amazing thing. His love is so constant. I just pray I can be holy because in holiness I can see his love more. Thank you for reminding my soul of this. I love that you are such an important piece of the #RaRalinkup at Purposeful Faith. Celebrating you right now, Tania. There is truth and beauty in your words. Blessed you stopped by my place and that I joined you here to be reminded that God's love is unfailing.